Recent theme development enables support for BuddyPress and integrates with the staff directory to provide an employee social network. 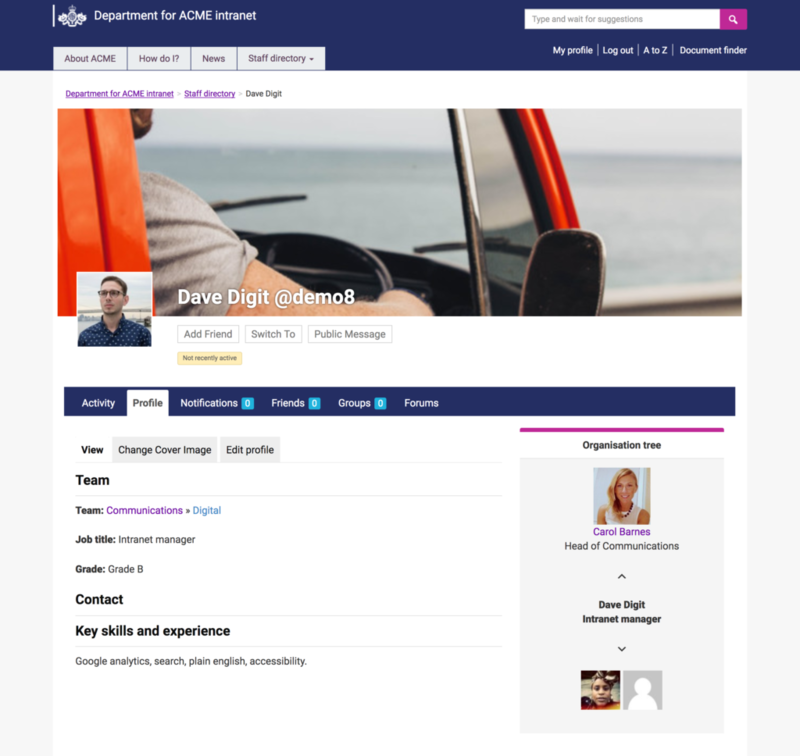 User profile links across the theme templates have been updated to link to either a basic author profile, the existing staff directory profile or the new social profile, depending on your configuration. If you already use the staff directory and forums, new profile templates will activate if you install the BuddyPress plugin. 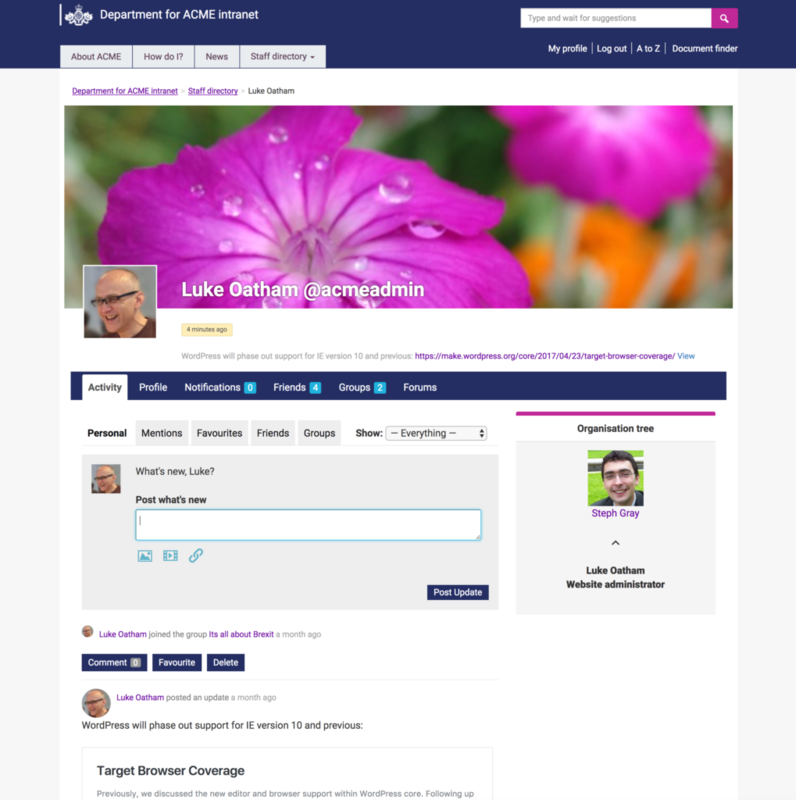 User profile templates integrate the social activity feed, forums, groups and the existing staff profile information. Due to the existing custom user profile fields in the theme, we have not provided support for extended profiles within BuddyPress, and have had to rely on existing bbPress functionality for frontend profile editing. New changes will only be available if you install the BuddyPress plugin. If you don’t use the staff directory or wish to remain using the existing staff directory with bbPress, you should not notice any difference with this version update. There have been extensive changes throughout templates. Please report any bugs that I’ve missed during testing. When will this update be released to install via the WP dashboard or is it a manual install? Thanks for spotting. Manual update required to get back onto auto updates.